Ford Philippines showed that they’re a modern corporate citizen when the carmaker was named as the Top Taxpayer in the City of Muntinlupa. 2017 marks the fourth consecutive year for Ford to be named as the top taxpayer. The company first made it to the list in 2014, a year after it moved its corporate headquarters to Alabang, Muntinlupa from Santa Rosa City, Laguna. 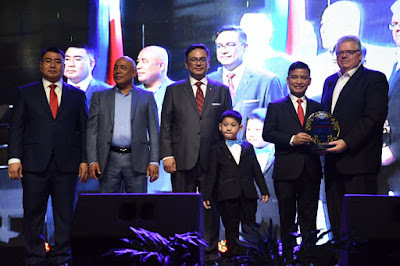 “We thank the city government of Muntinlupa for the recognition. This citation solidifies our commitment to good corporate governance and responsible business practices,” shares Bertrand Lessard, managing director, Ford Philippines. Come to think of it, what other major big bucks Corporate HQ is located in Muntinlupa instead of Makati, BGC-Taguig or Ortigas (Pasig/Manda/QC)? Hmm?